As fun as UTVs are, it’s no surprise that young drivers want to get in on the action. To keep young UTV enthusiasts safe, it’s important to start them out on a scaled-down machine they can handle. Youth UTVs look much like full-size machines, but they’re simpler and less powerful. 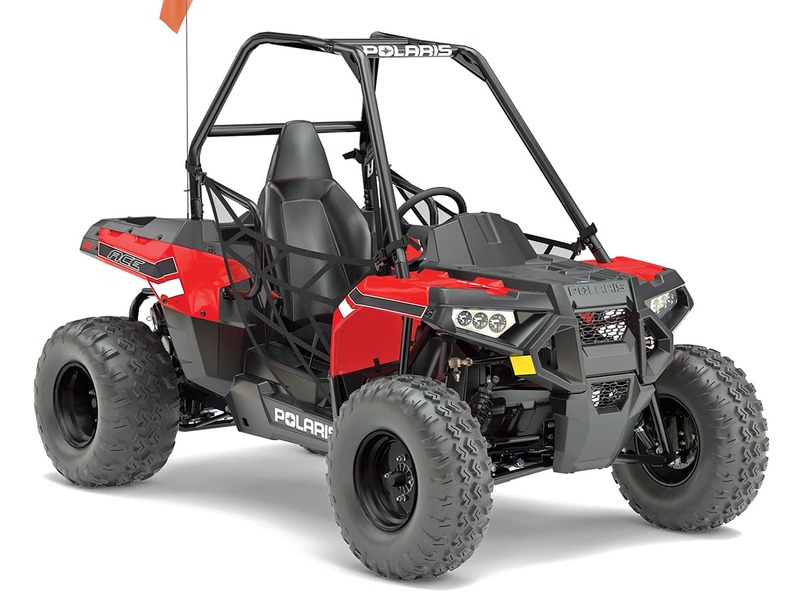 For now, all youth UTVs have solid-axle swingarm rear suspension and chain drive to the rear wheels only, but they can handle surprisingly challenging trails and sand. 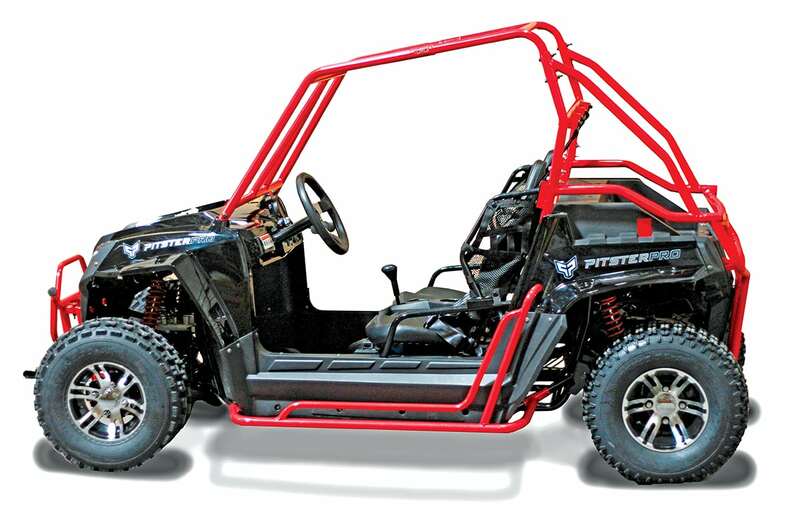 The Lil Mojave’s double-A-arm front suspension helps it handle more like a full-size UTV. This machine has an adjustable driver’s seat, a half windshield, front and rear bumpers, nerf bars, and cup holders. 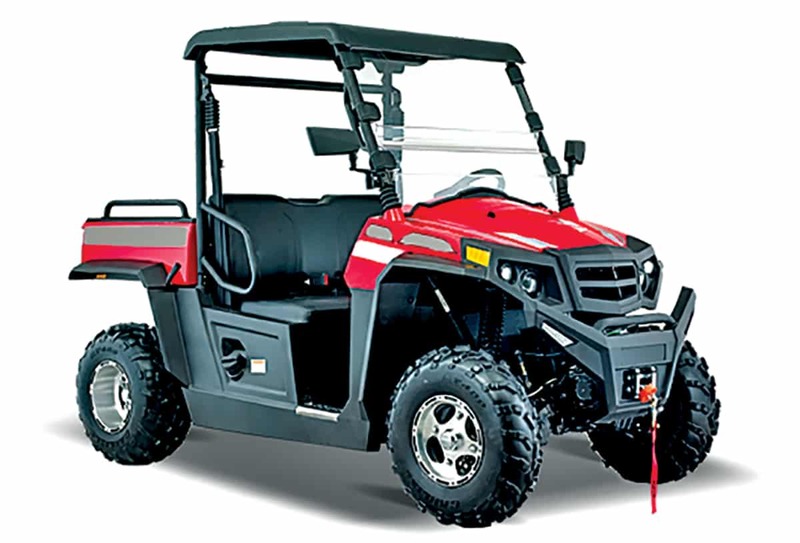 The Ace 150 is a single-seat UTV with a four-mode electronic speed limiter, double-A-arm front suspension, slide-adjustable seat and tilt-adjustable steering wheel. The Ace 150 has more suspension travel than the RZR 170, and it’s $1000 less! Like the RZR 170, the Ace 150 comes with a helmet, safety flag and an instructional DVD. The Ace 150 Limited Edition adds racy styling and white bodywork to the well-equipped Ace 150. Number plates and color-matched bumpers, rock sliders, cage, springs and A-arms set the Limited Edition apart. This machine comes with a safety flag, instructional DVD and color-matched helmet. 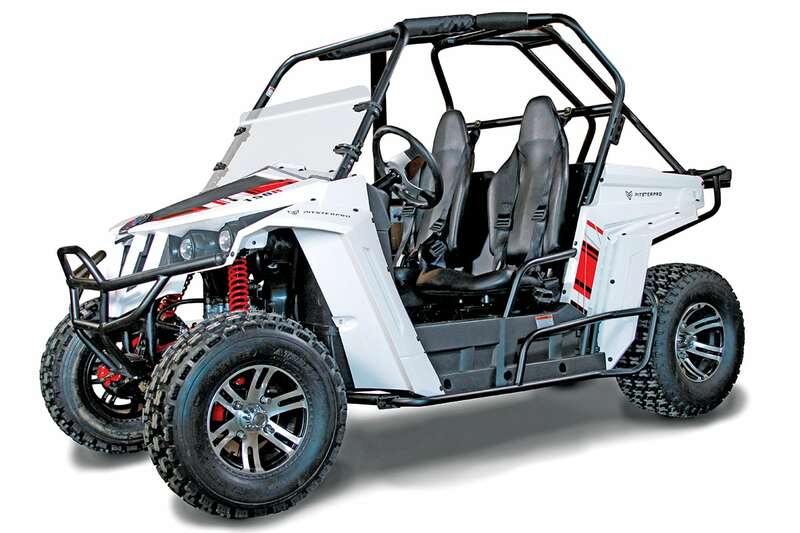 Styled like the larger RZRs, the RZR 170 is powered by a fuel-injected, 169cc engine with a fully automatic transmission. An adjustable throttle limiter lets parents regulate the machine’s speed. 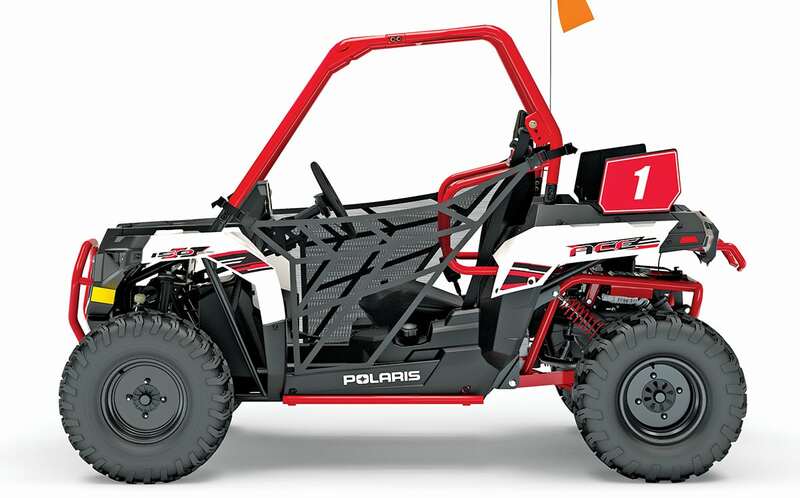 The RZR 170 comes with two youth helmets, a safety flag and an instructional DVD. This machine has double-A-arm front suspension, and it comes fully loaded with useful accessories. Standard equipment includes rear-view mirrors, running lights, auxiliary LED lights, a spare tire rack and spare tire, rock rail/nerf bars, and front and rear brush guards. The Lil Ripper Long Body 200’s extended wheelbase provides more room for larger kids or adults, and the 200cc engine hauls heavier riders more easily than some smaller engines. Double-A-arm front suspension, an adjustable driver’s seat, cast-aluminum wheels and large 22-inch front and 20-inch rear tires are also part of the package. 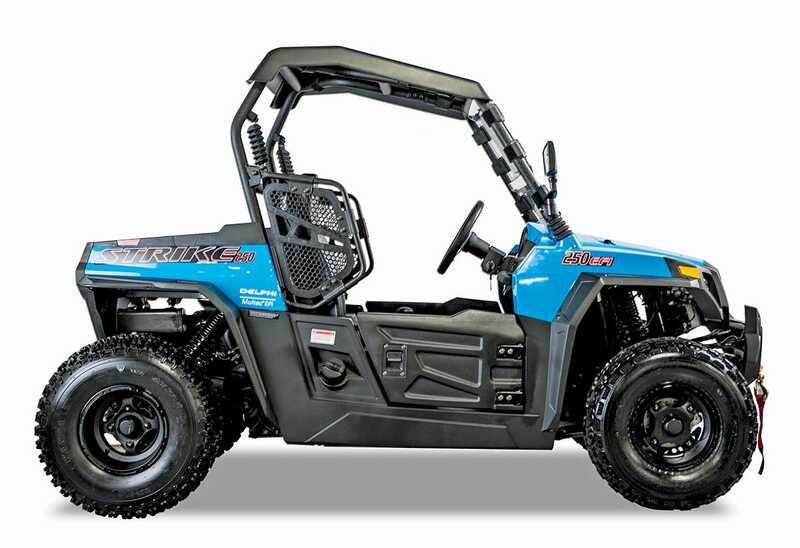 The Strike 250 is more roomy and powerful than most youth UTVs. A dual-range automatic transmission makes it very capable in changing terrain. 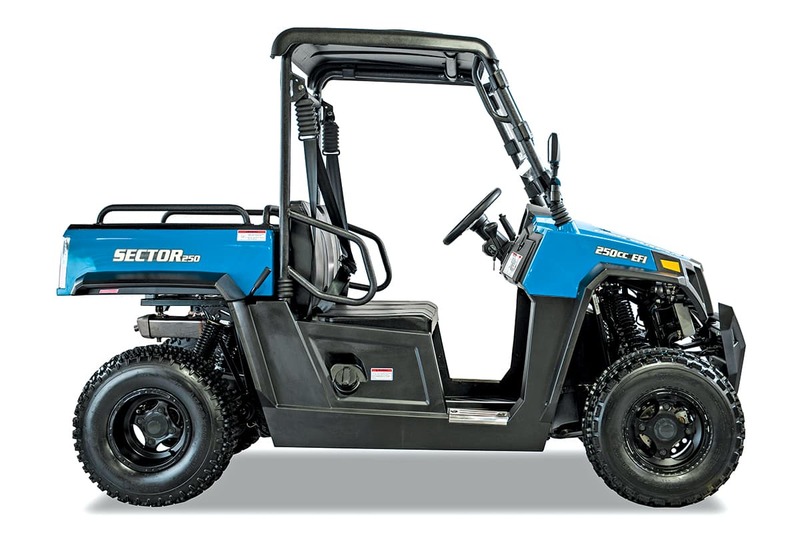 It also comes better equipped than many full-size UTVs. Standard equipment includes doors, a roof, slide-adjust seats, mirrors, alloy wheels and a winch! 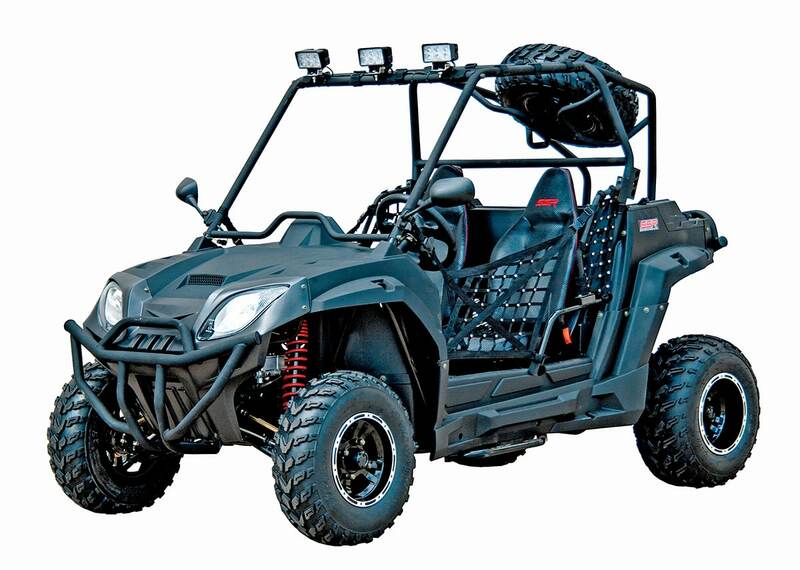 Hisun’s Sector 250 is a recreation utility youth UTV that’s fun for trail riding, and it can help with chores with its large dump bed. It has more room and power than most youth UTVs, and a dual-range automatic transmission makes it very capable in changing terrain. It also comes very well equipped. Standard equipment include a roof, mirrors, alloy wheels and a winch! 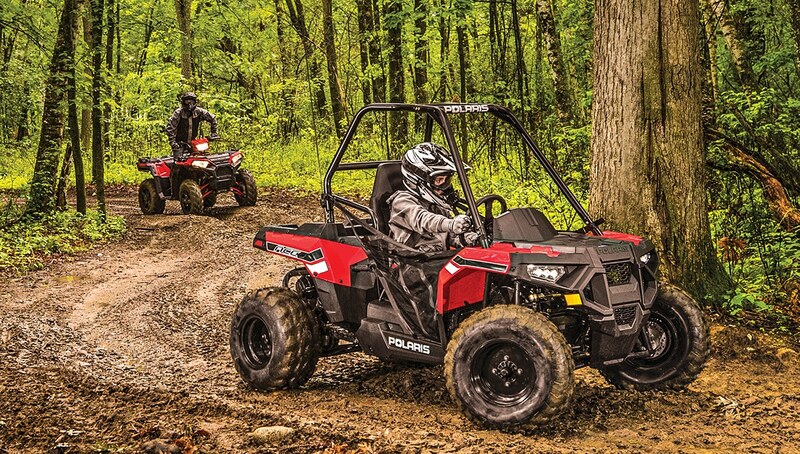 The Gunner 250 can explore and haul cargo like full-size recreation utility UTVs. It has a tilting cargo bed and a fuel-injected, liquid-cooled 250cc engine with a dual-range automatic transmission. 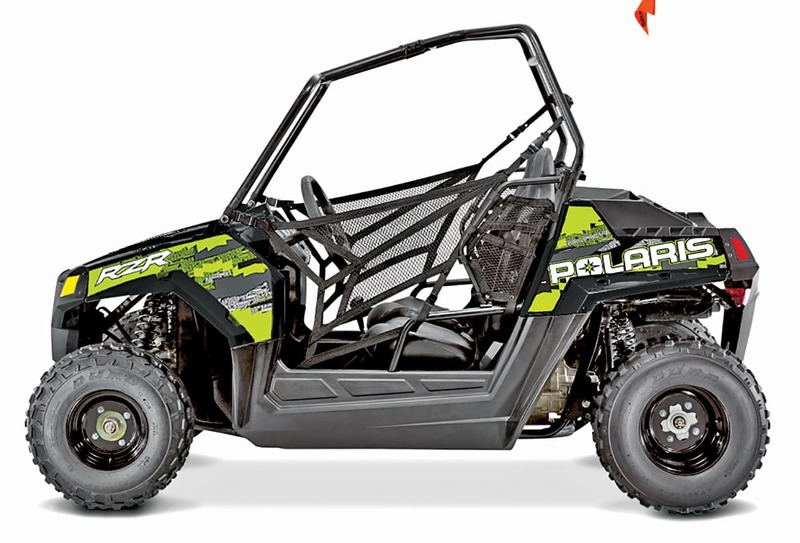 This machine comes with a roof, mirrors, alloy wheels, a windshield and winch. 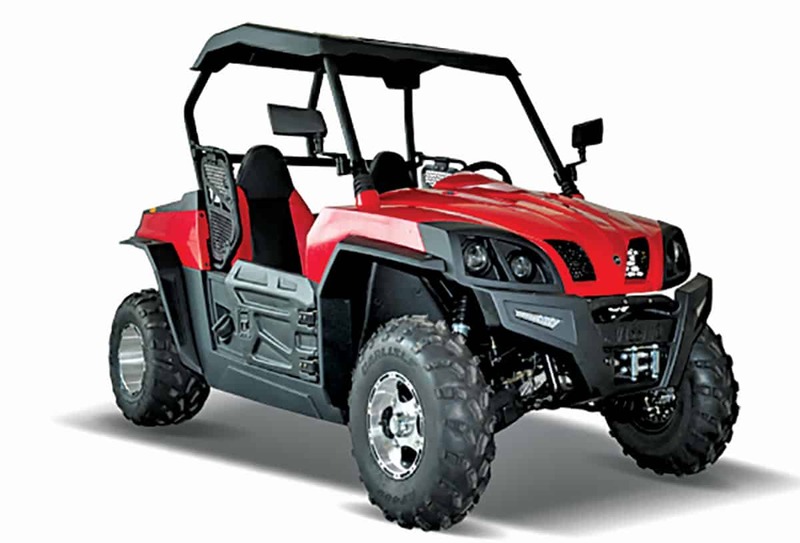 The Gunner S is a sport UTV with a fuel-injected, liquid-cooled 250cc engine; double-A-arm front suspension; and a dual-range automatic transmission. This machine has adjustable sport seats, doors, a roof, windshield, mirrors and alloy wheels.